Once upon a time there was a very lazy and grumpy ship that really wished she had wheels. Every afternoon she went to the coast to watch the people on their bicycles riding around the city. One summer morning, on waking up, she decided that after doing her work as a fisher of the seas, and after being dropped at anchor in the harbour, she would spend the afternoon dreaming of being a rolling “bike-ship”. When the captain came back after his fishing trip, he left his ship well-protected and went into the town. Once alone, the ship whistled to a bike that was passing by and invited the bike on board. The bike was happy to accept, and her new friend, the ship, sailed her over the sea. Miss bike began to feel sick after a few hours and the ship told her that the sea provokes travel sickness to those that are not used to sailing. Once back at the coast, the ship gathered a bit of courage and finally said to Miss bike that she wanted to have wheels like her so that she could roll along and around the beautiful city. Miss bike promised to tell the captain. The ship hoped her dream would come true and that she would have big wheels so that they could roll and play and jump and roll along together. 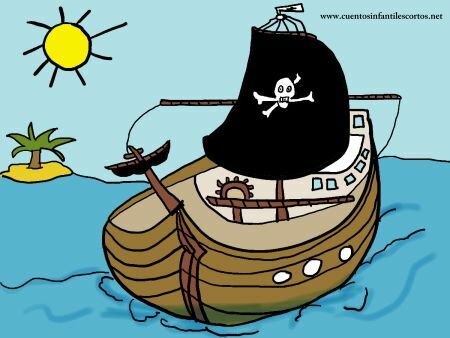 The next morning, the captain decided to paint his ship´s old wooden hull. A wheeled trailer took her out of the water and she was very happy to be on it. They lifte the ship by crane and took her out of the water. When she woke up, the little ship was astonished when she realised that she was in the city. Miss bike saw her passing and greeted the ship, riding fast but being careful. That day was a very special day because the little ship could finally fulfilled her dream, and roll along and around the city and play and jump with Miss bike.